Imogen's Typewriter. 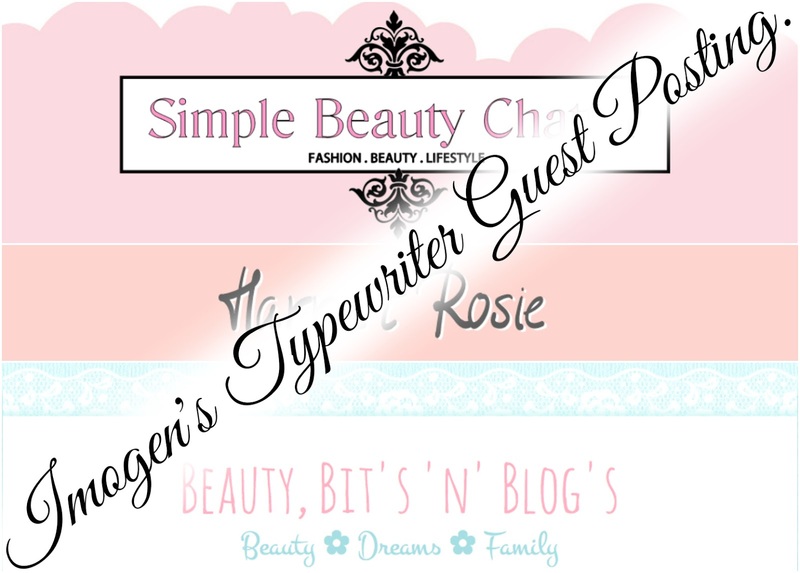 : I've Been Guest-Posting! Hey everyone! I've been guest-posting on some blogs I love lately and thought I would post the links to send you their way, and give you some extra reading this Sunday evening. Over on Simple Beauty Chatter I show you how to gradient your nails with a sponge! It's really easy but looks amazing. On Harriet Rosie I talk about how Excel makes me a better blogger! My blog timetable is a lifesaver. And last but not least, I tell you 5 Things I do Everyday over on Beauty Bits 'n' Blogs! It was fascinating to think about. Have you ever guest posted? Leave me links!